CEDAR CITY — Prep Outdoor & Emergency Store, a business offering everything from food storage to temporary shelters, hosted Bryan Hyde Saturday as the speaker for one of the store’s free classes on topics geared toward helping the community stay informed and attain knowledge in all emergency preparedness areas. 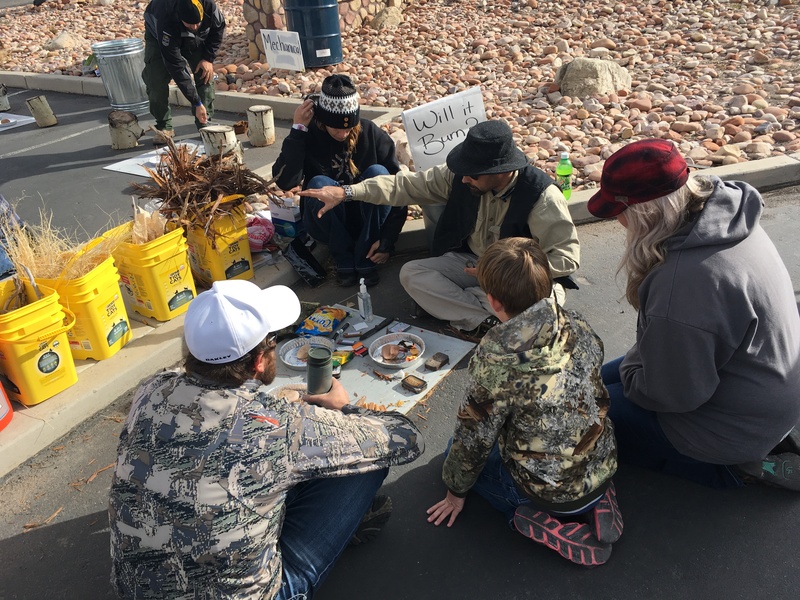 Hyde’s talk was entitled “Awakening the Sleeping Giant.” This is actually the 2017 theme at Prep Outdoor & Emergency Store, said Brenda Pehrson, co-owner of the store located at 900 S. Main St. in Cedar City. Hyde spoke about how people need to start with themselves if they want to see a change on the national scale, Pehrson said. This deals with examining such things as knowing what you stand for, being true to yourself and others, living a life of minimalism and truly focusing on filling our lives with things of importance as opposed to cluttering it with junk. Hyde said he believes it’s important to pay attention to current events both locally and worldwide and to be an active, involved member in your society. 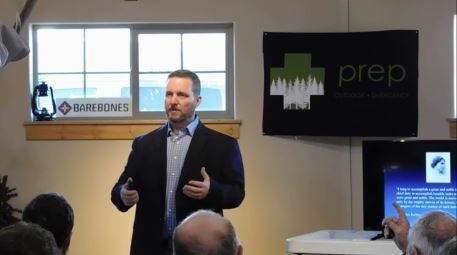 Many people in the crowd – and Southern Utah in general – know Hyde from his radio show on KDXU 890AM; however, recently he started a new career as the director of development with Libertas Institute, a public policy institute. Hyde is also a regular columnist for St. George News, including penning several pieces on the topic of preparedness. 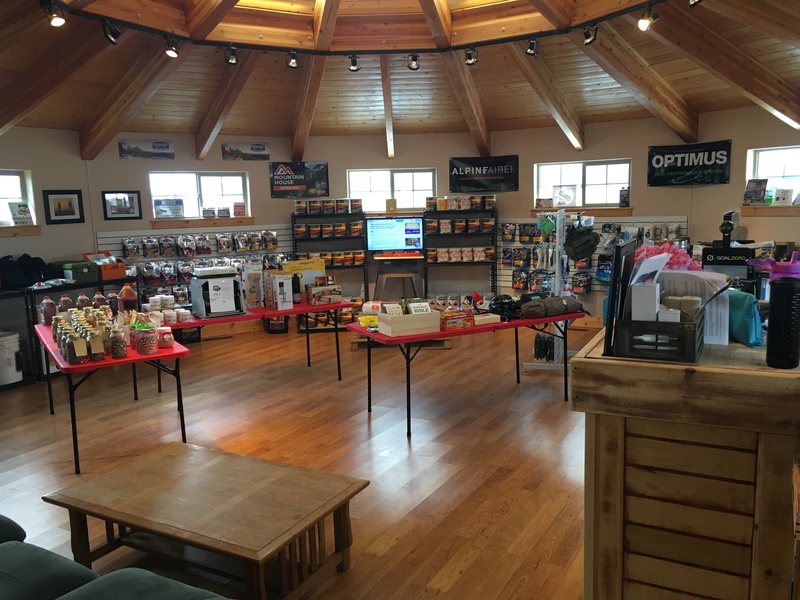 Prep Outdoor & Emergency Store was opened by Lance and Brenda Pehrson. Their focus is on providing sustainable solutions that enable people in the community to meet their own basic outdoor and emergency needs. In order to help facilitate this for the community, the Pehrsons offer several products for basic survival. They can help stock food storage with anything from dry to frozen, baking to dessert. Besides food, the store also offers tents, cook stoves, water purifiers and other basic outdoor and emergency essentials. Additionally, Prep Outdoor & Emergency Store offers many other free classes similar to the one on Saturday. Past presenters have discussed topics such as how to shelter in your home during an emergency, essentials to have in a 72-hour “grab bag,” portable solar power and water filtration. “We are very passionate about helping our community and strengthening our Southern Utah community to be able to withstand whatever adversities that may lie ahead,” Brenda Pehrson said. The next class will be Friday at 6 p.m., offering a refresher on the 72-hour bag as well as fire safety. On the Feb 24, they will hold a class on the process of freeze-drying food – which will include samples. For more information on Prep Outdoor & Emergency Store, visit them on Facebook and Instagram. Are they going to carry handgrenades?